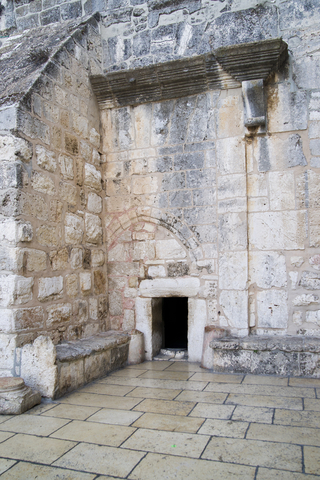 To enter the Church of the Nativity in Bethlehem, it’s necessary to bow to pass through the Door of Humility. As a writer who seriously wants to get better, I’m developing a supple spine from bending through that door often. I’ve had a lot of practical lessons in writing and the most valuable have not been from seminars or courses; the greatest improvements have come from critiques. To be truthful, the opportunity for improvement isn’t apparent right away. First there’s disbelief that what I wrote wasn’t perfect. Next there might a dark hour or so of resentment when I think that the reader doesn’t appreciate my cleverness. Finally I slip through the door and see that the feedback is more than well-intended, it’s enormously helpful. Humility makes us accessible to learning, to new ideas. Unlike insecurity which whispers that nothing we ever do will be good enough, or vanity that blinds us to other suggestions, humility reminds us that there is work to be done and alternate ways of doing it. When a manuscript comes back covered in notes, I try to remember the words of Alexander Pope No one should be ashamed to admit they are wrong, […], that they are wiser today than they were yesterday. I’m a much wiser writer today than a year ago, which is to say I’ve made a lot of mistakes. How is your writing caper going? Are you bowing through the Door of Humility as you progress?